The cleaver fell off. The Moves application ceased to operate on July 31, 2018. If you don't know, it was a tracking application that used smartphone sensors to determine if you were walking and to record your movements and activities. 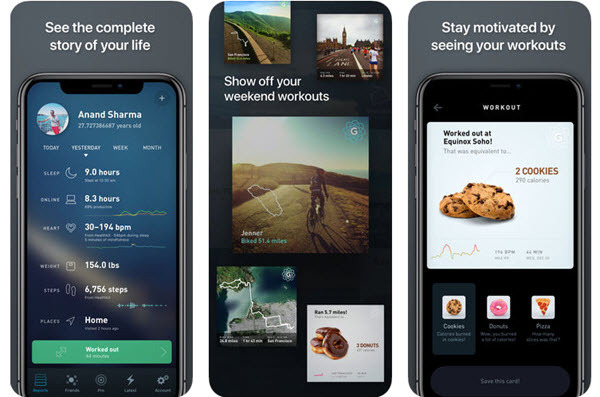 Developed by ProtoGeo, it was quickly bought by Facebook in 2014, which more or less kept it alive until it was stopped. And although the service has not improved since then, Moves had a small community of people who used it on a daily basis. It is now time to find an alternative and we have a few to propose. Arc App was created by the disappointed in Facebook's takeover of Moves. In a more refined interface, Arc App allows you to track your movements and calories expended. The application is able to recognize how you move: walking, running, public transport... and can also communicate with the health information that is present on your smartphone. Arc App consumes very little battery since the application remains in standby until it detects that you are on the move. Gyroscope Health is an ultra-comprehensive life tracker. 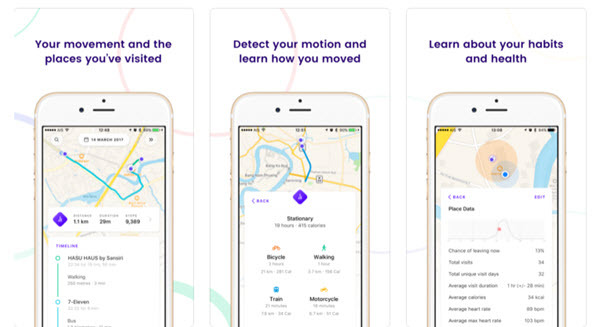 After creating a user account on the platform, you will be able to connect dozens of iOS applications to get an overview of your life: sleep, movements, location, heart rate... Gyroscope offers its own alternative to Moves with the "Places" tool which allows you to keep track of the places you have visited. Gyroscope Health's interface is very futuristic and modern and allows you to easily display the information you want to control. The only downside is that the free version is limited and a subscription is required to take advantage of all the features. Life Cycle is an application that records all kinds of information about your life and allows you to map your daily habits. 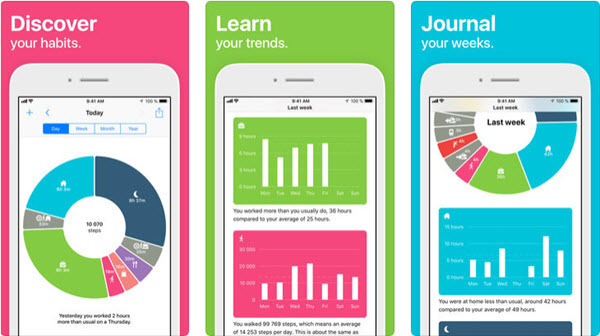 The service records all your daily activities, whether it's a diary of your travels, the quality of your sleep (thanks to Apple Health) or the interactions you have with your friends. Unlike other applications of the same style, Life Cycle consumes little battery power because the service does not use your device's GPS. A premium version is available for $9.99 per year. ActivityTracker Pedometer is the ideal application to count your steps. Running in the background on your Android or iOS device, ActivityTracker Pedometer uses your smartphone's motion sensors to calculate the number of steps you take and the distance you travel. The interface of the service has been well thought out with the display of data day by day but also over longer periods. Downloading the application is free of charge but some features are only available after you have opted for a purchase in the application. Good to know: the Moves service ceased to operate on 31 July 2018. Users could then retrieve their data saved in the application from the "export" menu. This data could then be used in other applications such as Gyroscope, which we mentioned earlier. Moves is no longer available for download on Google Play and the App Store. 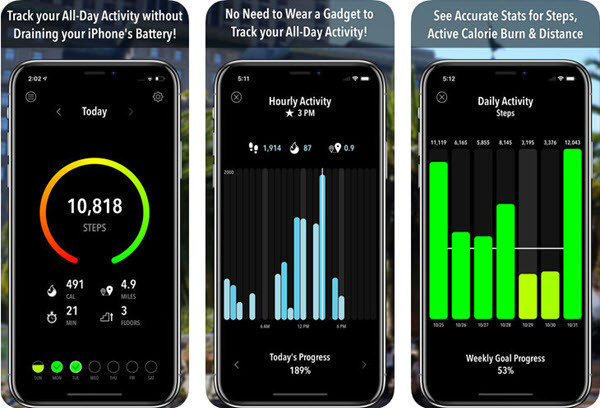 ActivityTracker Pedometer is an Android application that allows you to know your daily activity without having to wear a connected bracelet. ActivityTracker Pedometer iOS is an application that allows you to keep track of the number of steps and distance you walk on a daily basis.